Display Port is a digital video interface standard promoted by Video Electronics Standards Association, set in May 2006. The latest version 1.2 was set in November 22, 2009. The interface setting down exempting certification and authorization expense, developing new digital audio / video interface, mainly suitable for connecting computer and screen, or computer and home theater system. Intend to replace the old VGA and DVI interface. Based on small packets agreement. Allows easy expansion of the Display Port standard. In a separate entity connection allows multiple video streams (in the future). Design to support the connection between internal chips. Allow directly operating display function options, will be able to remove the control loop of display to produce cheaper and lighter display. The goal is to replace the internal LVDS connection in notebook computer panel by the unified connection interface. Allow backward compatibility in single channel DVI/HDMI. Dual channel DVI/HDMI and analogy VGA adapter need conversion adapter. Support RGB and YCbCr color space (ITU-R BT.601 and BT.709 format). The auxiliary channel can be used in the touch panel data, USB connection, camera, microphone and other equipment. Less channel and embedded time pulse reduce radio interference "RFI". 10.8 Gbit/s bandwidth can support 2560 x 1600 high resolution display. Open and extensible standards can accelerate the popularity. Supports 6, 8, 10, 12 and 16 bit color depth. The guaranteed length of cabble's complete bandwidth is 3 meters. The bandwidth guarantee length of 1080p effective transmission is 5 meters. 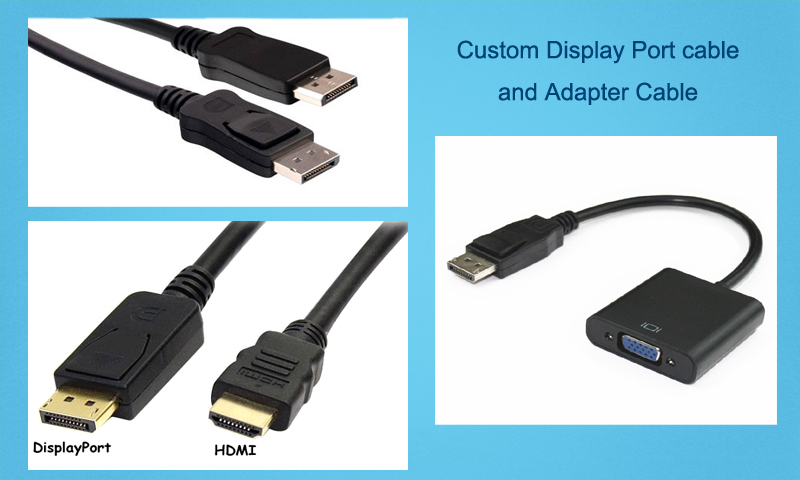 Support 128-bit AES DisplayPort content protection (DPCP), version 1.1 more supports for HDCP 40-bit.